18 Delia*s models who, oddly enough, I can't seem to recognize. I have more than one picture of all of them, so if you need another picture for reference, just let me know and I'll give it to you. Thanks so, so much in advance! P.S. Delia*s gets a majority of their models from Wilhelmina and Ford models, and most of their models come from Miami based agencies. 5. Shanina Shaik. / 6. Alexandra Collins with MC2 Models Miami. / 7. Beatrice Fontoura. / 10. Mariah Watchman with Wilhelmina Miami. 11. Logan Stanton with Wilhemina Miami. / 13. Mick Szal with Wilhelmina. / 15. Brittany Depriest with Next Models. / 16. Erin Kirstein with Ford Models. 17. Katie Scarlett Neff with Wilhelmina Miami. / 18. Lauren Layne with Click Models. ^ Thanks Francy, that's what I thought. Ok, so I'm almost certain that #17 is model Katie Scarlett Neff, originally with Mega Models Miami, but now with Wilhelmina Models Miami. Can anyone confirm? Did my research: It's definitely Katie. Also, #18 definitely is Lauren Layne with Click Models. I believe #9 is Nina Agdal. ^ Nah, Nina is tanner, has brown eyes, darker hair, her abs aren't exactly as... "defined" as this model's are, etc., etc. But, thanks for the try. I wish there was a list somewhere of which models worked for Delia's. It would make finding models' names much easier. Let me know if you find out any of these model's names, I too would like to know some of them. 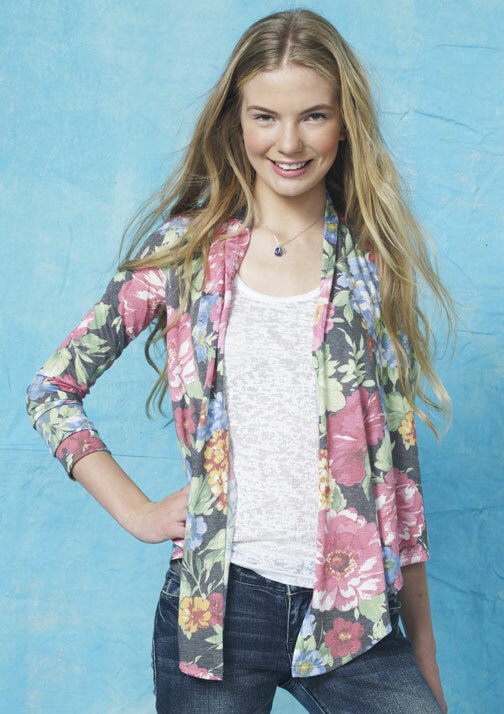 15- Brittany Depriest....i have her on fb and she is friends with Sandra Kubicka they modeled for Delias together. Its hard to identify these models unless you have access to Ford or Wilhelmina. I don't understand why American agencies require passwords. I can't think of any agencies that aren't open to the public in London. All Ford and Wilhelmina are doing is stopping from this models from being known. Models with agencies that give public access to pictures and information regarding their models become more popular. We live in a digital age. Ford and Wilhelmina need to step it up. Ladies if your signed to these agencies make sure you have a website or atleast have a myspace page with your agency and pics. By the way, I completely agree with the last post. It makes no sense for agencies to restrict access to their websites. Found #13! She's Mick Szal with Wilhelmina. ^ Thanks so much you guys! #15 is definitely Brittany and #13 is definitely Mick. Also, I #9 think might be Angela Michelle Spaccia and #7 might be Beatrice Fontoura. A yay or nay on either would be greatly appreciated! Anything new on this? I'd love to know who cutie #3 is. She's so adorable. delias books out of la too! almost every model i know who has worked for them is with Wilhelmina and they are usually models in development. most beachwear is shot in Miami in the US. Hmmm #11 looks like a Model I wanted ID'd in one of my posts. Shes got a mole above her lip just like the picture of the model I had put up. So far no luck with her Id I'm afraid. ^ No luck either, on this end, unfortunately. ^^ Thanks for the last name, GJB! And I'm like 99.999999999% sure that 7 is Beatrice Fontoura. Their faces are exactly alike. Anyone wanna second me on that?